Here are description of main pages of Strano UI. 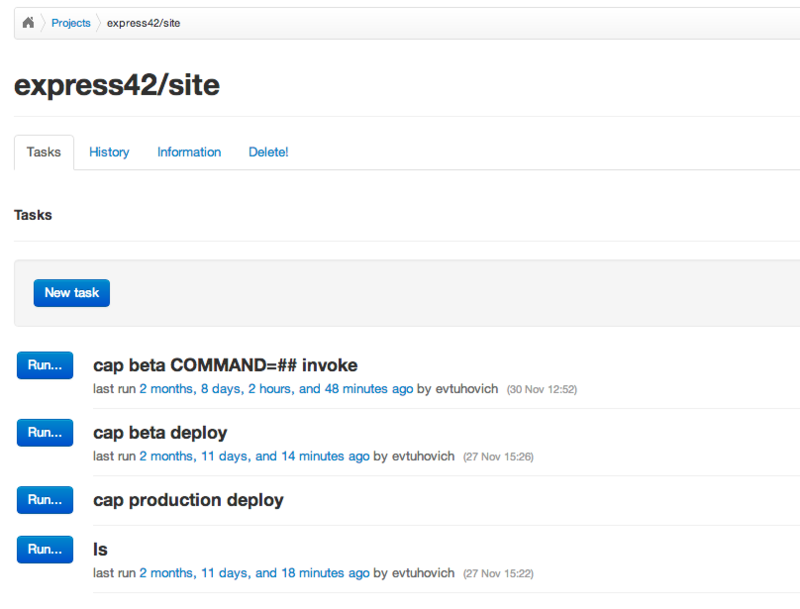 On projects page you can select any project you want or create new project from Github or any other Git repository. 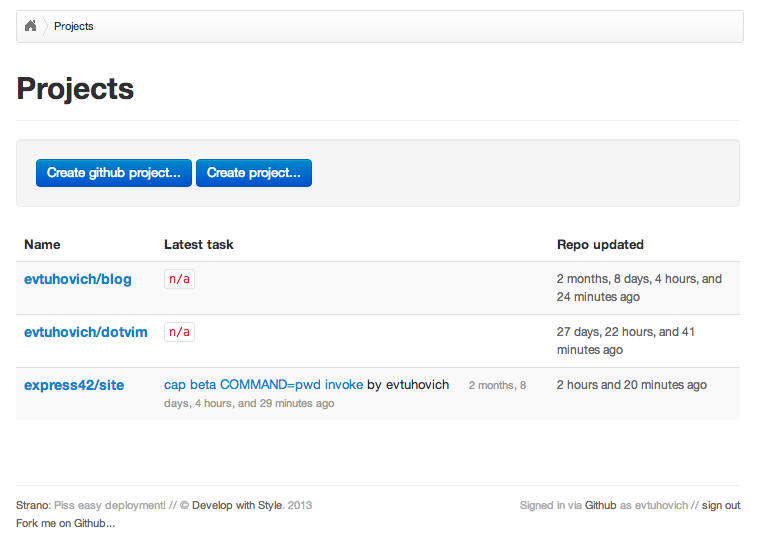 On any project's page there is Tasks tab. Here you can create or execute your tasks. All tasks are just a shell command that executed under the user running rake bg:worker in background. Any Strano user can add and delete tasks. History page contains information about all executed by Strano tasks. Here you can see who and when executed any task. 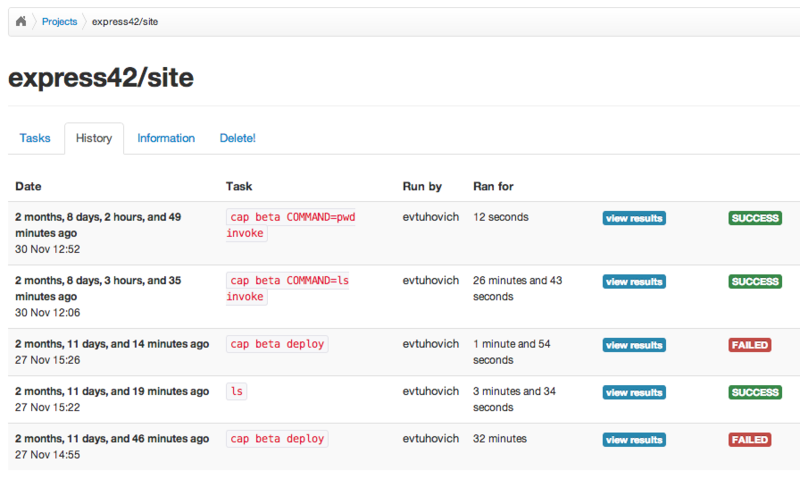 Also any task's (even running one) stdout and stderr output can be examined from this page.